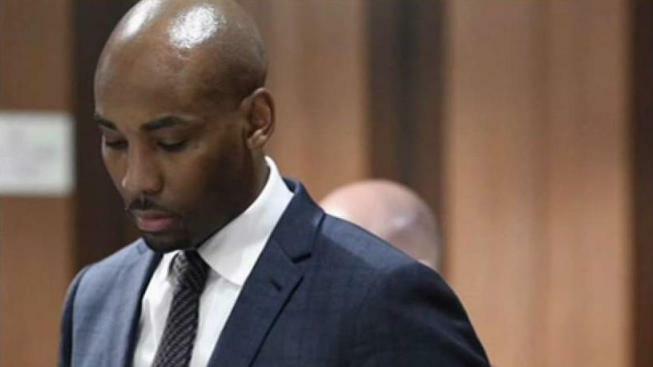 A rising college basketball coaching star accused of throwing a punch that killed a New York City tourist visiting the Big Apple for a wedding and who had apparently mistaken him for an Uber driver pleaded not guilty Thursday to an assault charge. Szabo, visiting from Boca Raton, Florida, banged on the window of Jones' SUV while looking for his ride after his stepsister's wedding, police said. The coach got out, followed Szabo to the sidewalk, clocked Szabo and sped off, police said. Szabo never regained consciousness and was taken off life support on Tuesday. The medical examiner released his cause of death as blunt impact injury of head with brain injury, ruling the case a homicide. Jones, 35, of Kernersville, North Carolina, turned himself in to police on Thursday, accompanied by a lawyer. He was arraigned Thursday night on a misdemeanor assault charge and released on his own recognizance after entering his plea. The coach's next court appearance is scheduled for Oct. 2, the Queens District Attorney's office said. Jones was with his family after the court session, his attorney, Alain Massena, said. Head coach Danny Manning said at the time Jones was a "well-respected bright mind" in the coaching world and brought "new blood" and "new perspectives" to Wake Forest.